First step is to fill the Clean Water tank with warm tap water. Next, fill up the Solution tank with half Hoover Concentrated Solution and half water. After filling up the Clean Water and Solution tank, just attach it to the cleaner. The Hoover Customer Representative gave a reminder to make sure that the Clean Water tank’s handle is pressed up to keep it secure. Next, set the Mode Selector dial on the handle to Wash and the Brush Mode Selector to Power Scrub. To start cleaning, turn on the Hoover Max Extract Dual V Carpet Washer, tap the Handle Release Pedal, and squeeze the trigger to release water and solution. The Hoover Representative also showed the proper stroke while cleaning the carpet. 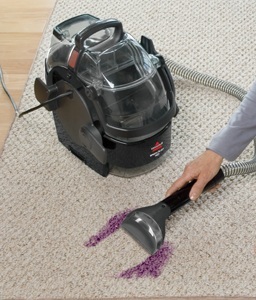 Push the Hoover Max Extract Dual V Carpet Washer forward, and then pull the cleaner backwards for the rinsing stroke. Finally, with the hand off the trigger, push the cleaner forward for the dry stroke. To make sure that the carpet is cleaned properly, the strokes should be steady and deliberate. 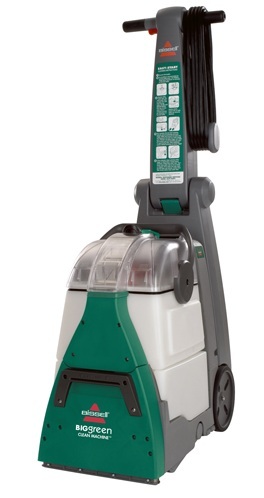 The Hoover Max Extract Dual V Carpet Washer also has a Dirty Water tank, where the dirty water the machine takes from the carpet is stored. The Hoover Representative noted that the machine’s pitch changes when the Dirty Water tank is full. This will remind the user to empty the Dirty Water tank, and just repeat the first steps to continue cleaning. 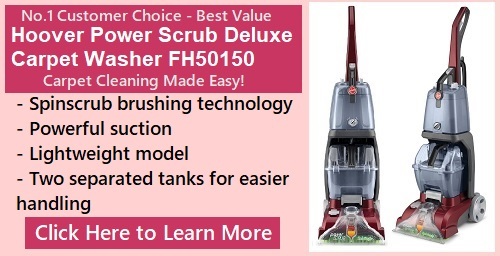 The video is very helpful to Hoover Max Extract Dual V Carpet Washer owners. The Hoover Representative’s instructions were very simple to follow, and he even gave some reminders to make sure that Hoover Max Extract Dual V owners will use the machine properly and more efficiently.